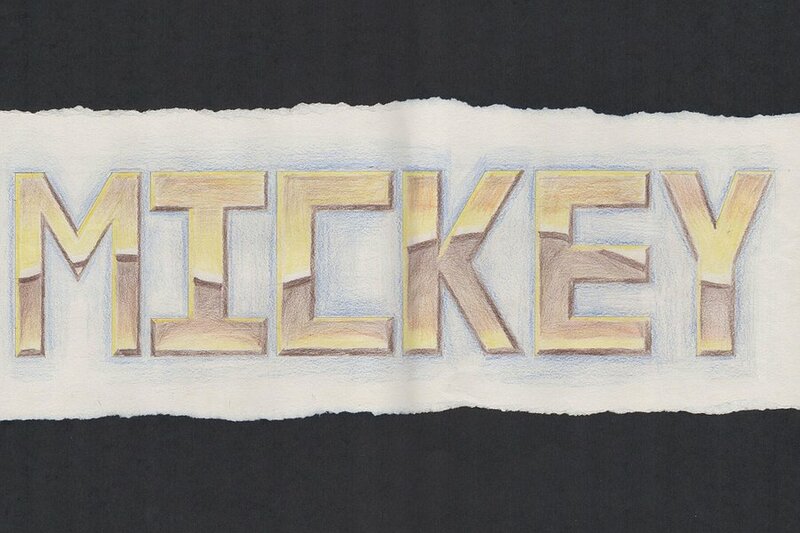 My Standard Grade Higher Graphic Communication Folio. 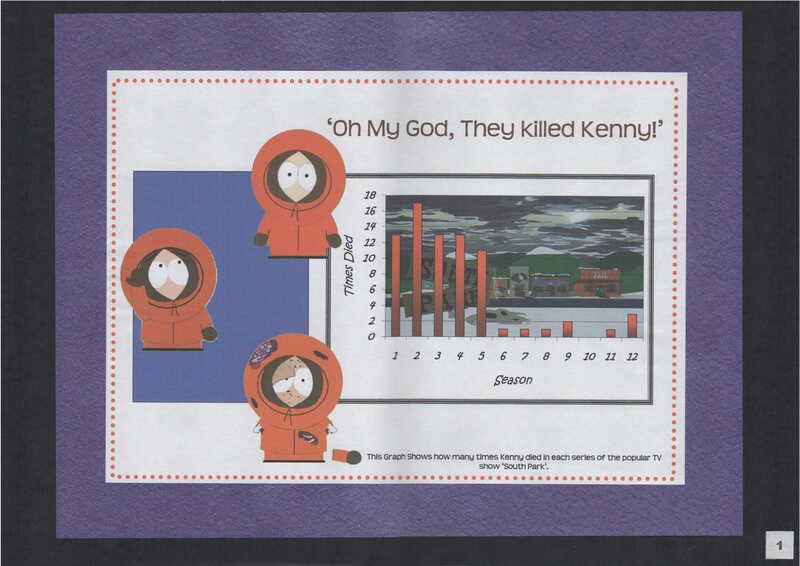 This simply represents 2D charts and computer aided work. 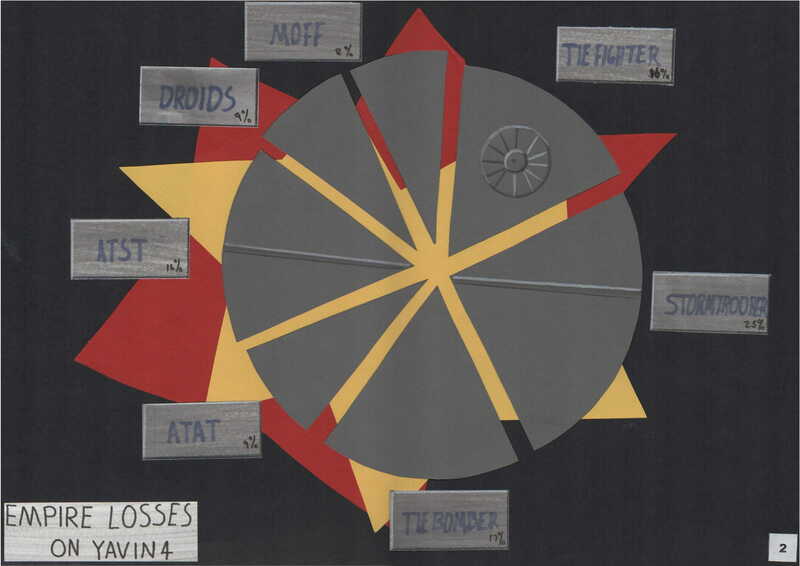 This represents a 2D graph and my attempt to shoe in as much Star Wars as possible. 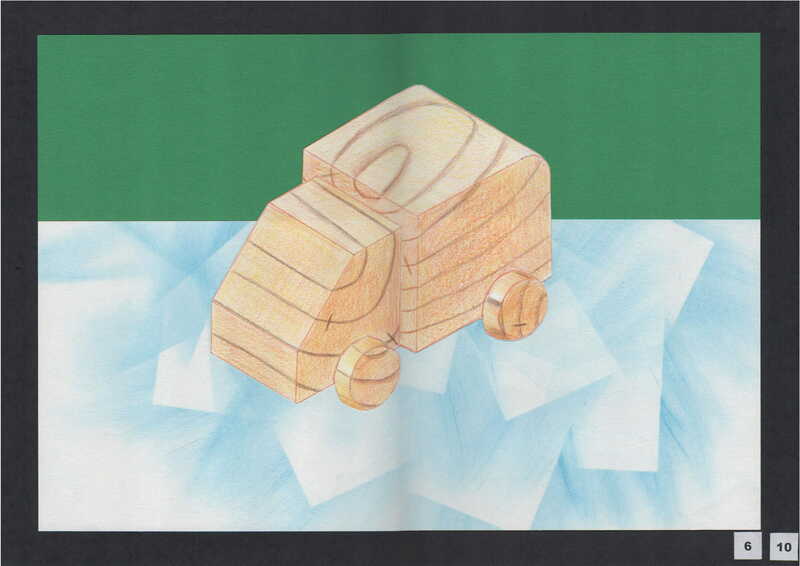 This is an example use of a texture, namely wood, on an isometric toy truck. 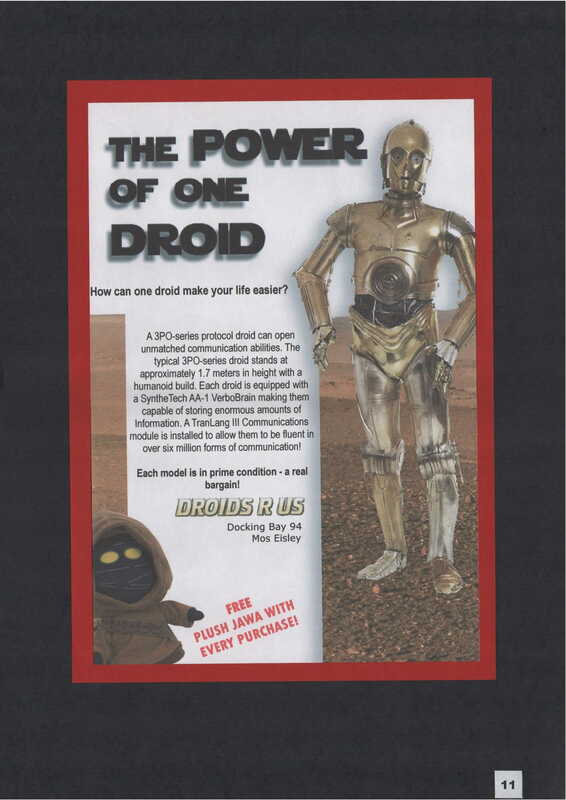 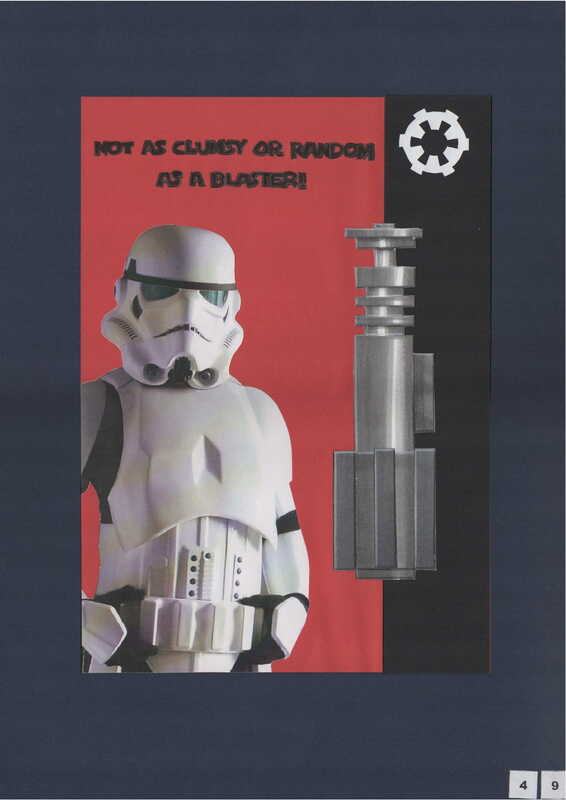 A droid sales poster focusing on display. 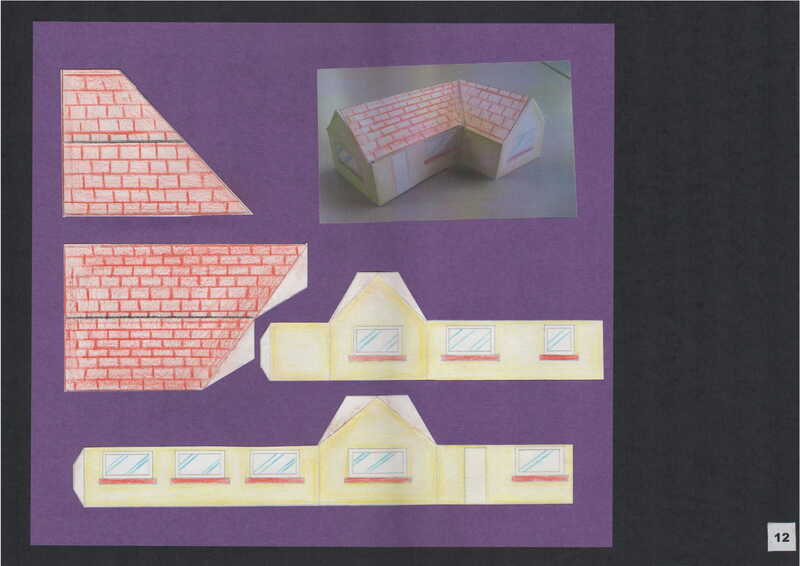 A 3D model of a house in the 2D form. 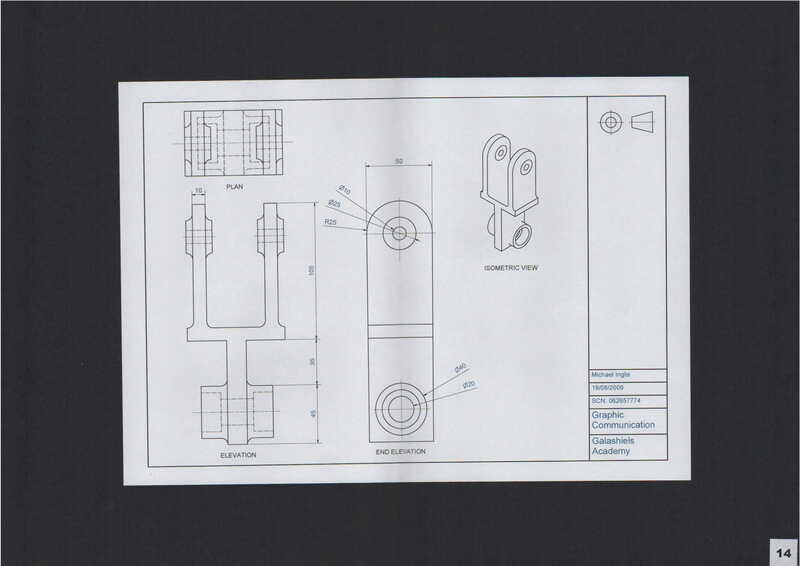 Both of these 3D CAD models were required for this portfolio. 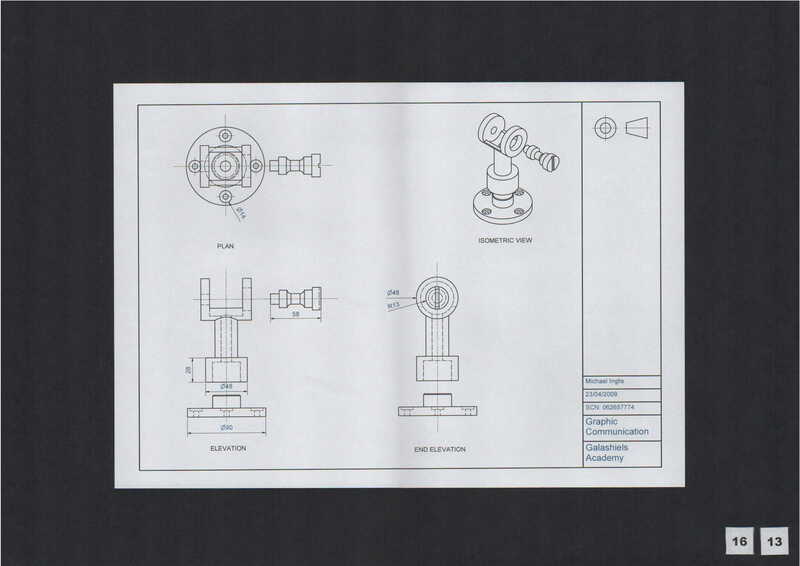 The swivel bracket is one of the first things I 3D modelled.